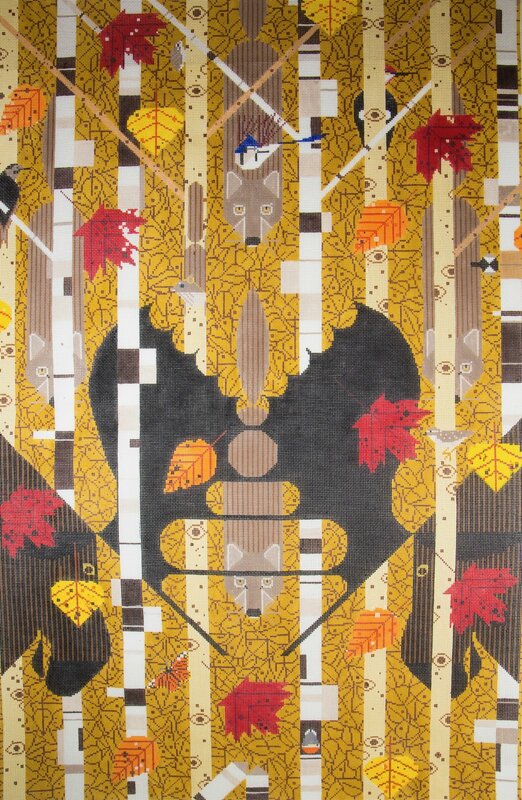 A truly magnificent large Charley Harper depicting the wildlife on Isle Royale Michigan. 18 Mesh 17" x 28". This was designed for the Isle Royale National Park famous for its moose and wolves. Commissioned by the U.S. National Park Service in 1986.